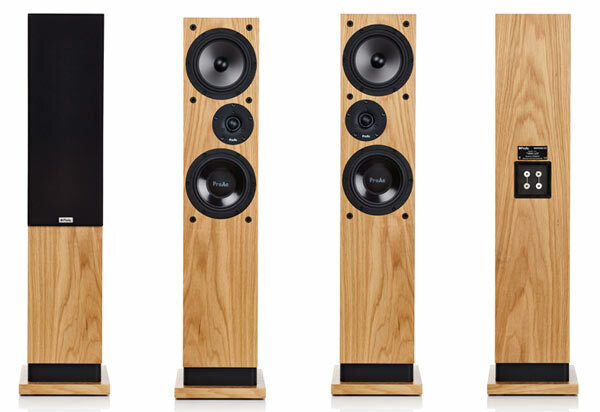 If there’s one speaker brand that has always impressed the Witchdoctor team, it’s ProAc. The UK company’s handmade speakers are generally quite understated, even discrete, but there’s nothing shy or retiring about their sonic abilities. According to Paul Quilter at PQ Imports, the local ProAc agents, there are some new speakers that are in transit to NZ and due in a couple of weeks’ time – they’re perfectly placed to warm up a few lucky Kiwi music lovers’ homes this winter. The new ProAc Tablette 10 is the 10th generation of the Tablette series originally launched in 1979. It’s an all-new design, using a thin walled heavy damped infinite baffle enclosure, which is the same as the BBC LS3/5a. This design allows the Tablette 10 to be positioned against a wall, unlike a ported enclosure. The Tablette 10 has new drive units – the bass driver has a Paginna Mika cone, which is made with reed leaves mixed with Mika and coated with an acoustic dope. The crossover has been specially designed for a sealed enclosure with a network, which shapes the response to give a rich bass and transparent midrange. The tweeter is the well known one-inch silk dome used in many of ProAc’s other models. The new Response DB3 employs a new long-throw bass driver with a special surround and dust cap and a new crossover, designed to deliver extended bass. It’s loaded with a single reflex port in the rear of the cabinet. The tweeter is the ProAc one-inch silk dome. The DB1 mini-monitor’s cabinet is slightly larger than the previous model; the cabinet is made from varying thicknesses of high density MDF and further damped by bituminous damping to control cabinet resonance. A newly designed long throw bass driver with raised spider and linear motor system is ported at the rear. The cone is made from mika pulp, which is then elastic coated and fitted with an acrylic pole damping phase plug. The new crossover was designed to give a flatter response at high levels. The latest ProAc floor standing design, the new Response DT8 uses two different types of drivers in a two-way design. The 6.5-inch pulp mica cone unit delivers exceptional bass performance in a ported cabinet, with the bass loaded via side vents. The polypropylene 6.5-inch unit gives a smooth, detailed and uncoloured midrange. Both drivers work in tandem resulting in a well-extended low frequency response. A new, Stewart Tyler-designed crossover seamlessly integrates ProAc’s proven one-inch soft dome tweeter, offset on the front baffle, and placed between the two drivers. For more information on these products or on run-out prices on the models that these units are replacing, please click here.